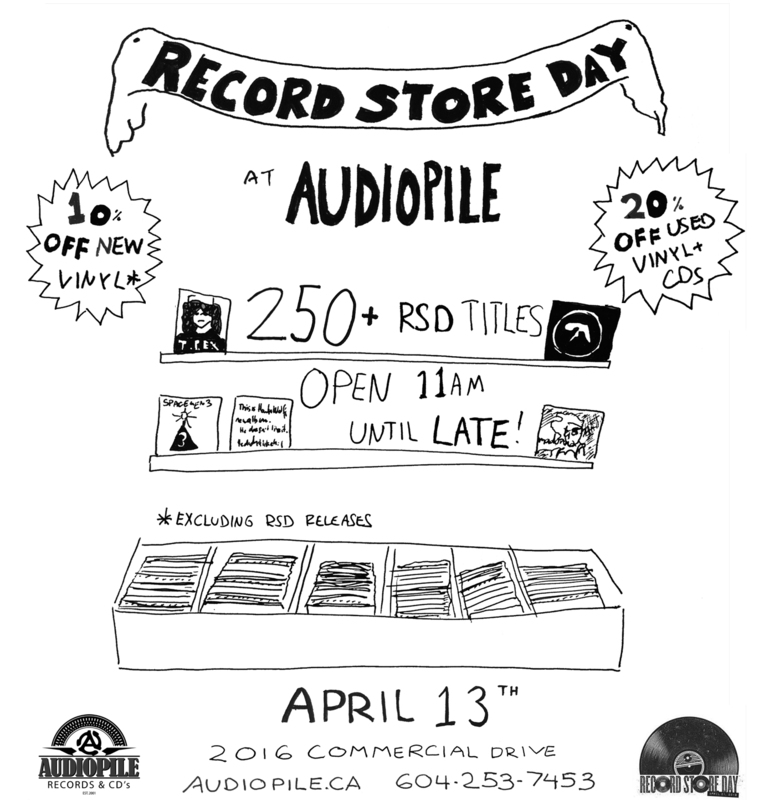 Record Store day is happening on April 13th and the doors are open at 11am. 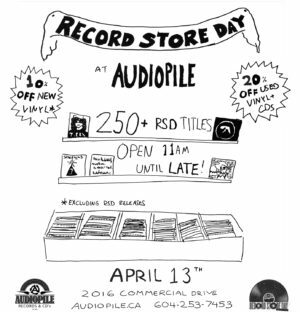 We’ll be having a sale in the shop: 10% Off all New Vinyl (excluding RSD releases) and 20% off all Used Vinyl. We have over 250 titles on order, all of which are listed below. We cannot guarantee that they will all arrive on time but the vast majority should be here for the 13th. These are obviously limited and quantities may be lower than anticipated. You can buy as many of the releases as you wish but only a single copy of a specific release, no doubling up.